Everyone who reads this book will learn the power of persuasion, how to believe in themselves, how to understand the principles of getting your way, how to get ready to get your way, how to speak or present to get your way, how to write to get your way, how to turn a presentation into a performance, how to be the most persuasive salesperson in the universe, how to persist until you win, and how to add a measure of eloquence to the entire process. This book will teach you to harmonize, not manipulate. It will teach you the power of engagement. It will show you how to inject humor into the persuasive process. It will teach you to tell a story in a compelling and passionate manner. It will teach you the elements of style and voice in the words you write. And it will teach you how to be the winner you have always wanted to be. 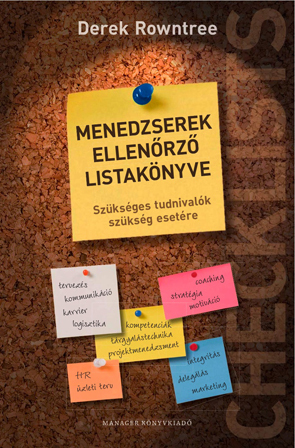 Ha van szenvedélyed plusz víziód, de nem cselekszel: álmodozol. Ha van víziód plusz cselekszel, de nincs szenvedélyed: középszerű leszel. Ha van szenvedélyed plusz cselekszel, de nincs víziód: el fogsz jutni valahova, de azt veszed majd észre, hogy nem a megfelelő célt érted el.